In this episode we see Hershel stepping up and becoming the hero that the prison group needs to pull through with the infection. Several sick people turn into walkers and this becomes a major threat inside the prison. Meanwhile, the prison perimeter is being overrun by walkers and the fence eventually goes down. Rick solicits Carl's help in order to take down the walker hoard. This is Hershel's episode, but he doesn't die. Yay! Glen and Sasha are very sick, but they don't die. Yay! 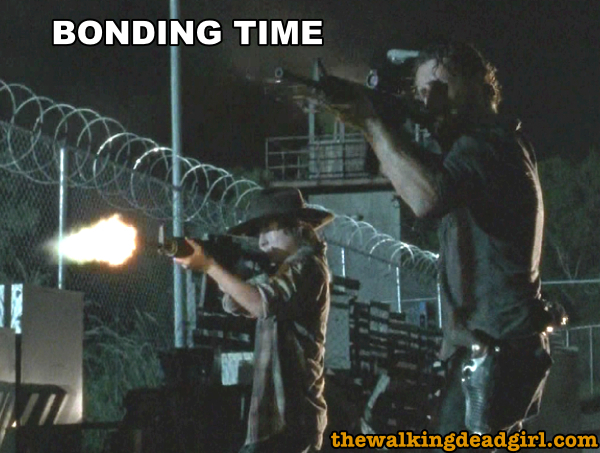 Daryl's group take way too long to come back to the prison. Lizzie is weird and potentially dangerous. Hershel is way too sensitive of protecting the group from seeing him kill the walkers. Daryl still doesn't know about Carol and Rick is in no rush to tell him. Rick gives in to handing Carl a gun and lets him use it. Is Rick losing the battle or is Carl well grounded enough to know when it's ok to kill?